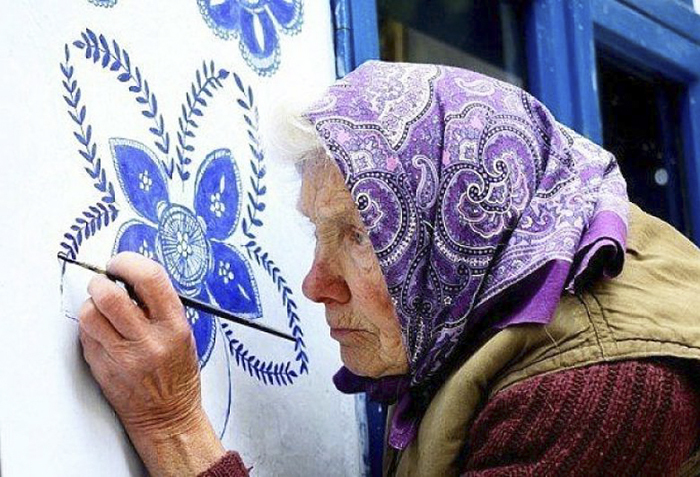 This 87-year-old old woman has embellished the world with fabulous paintings. Beneath her hands are real works of art! Have you ever thought about what you would do in retirement? Well into the autumn of your life you may have to find yourself some hobby to not go crazy with boredom. Seniors often feel lonely and look to somehow brighten their lives, looking for the right activity. Some begin to practice sports, others work on manual work, and others take care of their grandchildren. Do you remember a small Polish village called Zalipie, which enchanted the whole world with its charm? It seems that it will soon be worthy of competition. All thanks to the 87-year-old old woman living in the Czech town of Louki. 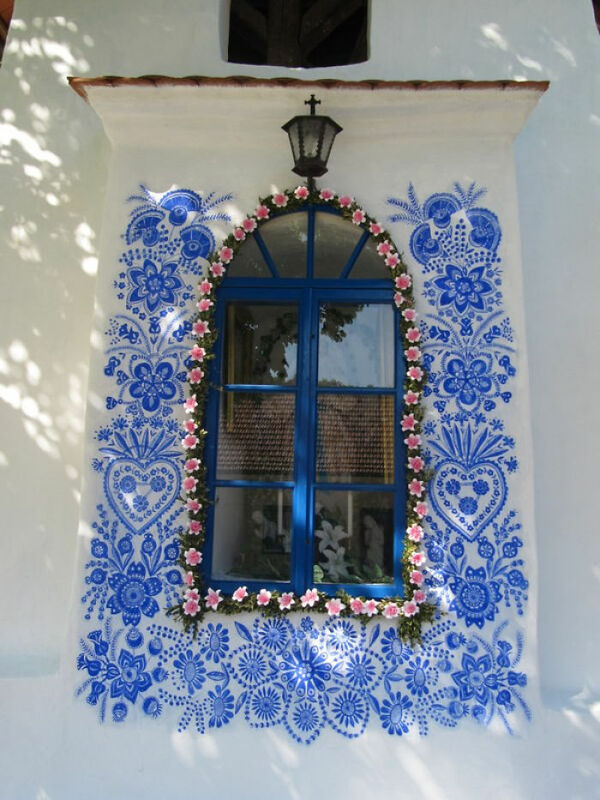 Anežka Kašpárková paints beautiful floral designs on buildings, which almost everyone admires. They are as fabulous as those in Zalipie. Anežka resigned from her work in agriculture 30 years ago and has since been involved in house painting. Although she does not have the best sight on the white walls, she creates complex motifs that are extremely refined. I do what I like. I try to help decorate this world at least a little – she says humbly. The senior added that she could not imagine a life without work. Every day she must have some occupation. 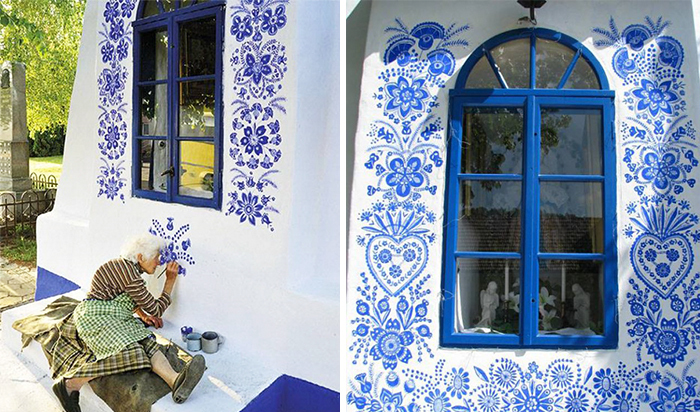 She takes care of the house and garden or simply paints floral designs. She covered a cake prepared earlier with bubblewrap. When I saw when she took it off, I was dumbstruck! WOW! She Met Her Husband At The Age Of Seven… Then She Did Not Know How Things Will Go! Crazy, but effective! People put cloves of garlic into their ears and claim that it helps!